Valuation On-Hand – What Does A Business Owner Need An Advisor For To Sell The Business? “At times, after we have completed a business valuation, a business owner feels there is no need for an advisor anymore in selling his or her business,” says Achim Neumann, President, A Neumann & Associates, LLC, a leading New Jersey-based mergers & acquisitions and business brokerage firm. “As a matter of fact, we have seen the business owner not able to wait to present his company’s valuation report to the (perceived) buyer of his choice”. But what happens then? Very little! Typically, a valuation is only a minor part of the business transfer process, although very often the most important one. 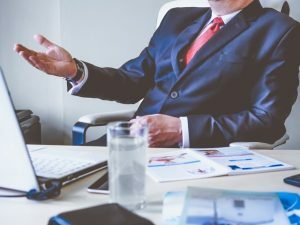 Once the valuation is completed, the advisor should support a business owner in preparing the business for a sale by way of the respective marketing documents, specifically, developing a blind profile and a full prospectus or confidential memorandum. Such preparation includes assembling all accounting records, checking the proper financial presentation, and establishing a coherent narrative about the business, especially, its competitive advantages and growth prospects. How do these documents differentiate themselves from a pure valuation report? Most often, the valuation report does not emphasize the advantages and disadvantages of the business, the competitive advantage the owner has developed over the years, and most importantly, the valuation report lacks the growth perspectives of the operations. Every investor wants to learn about these, in particular, how to grow the business – no buyer is purchasing a business for its status quo. In sum, a good advisor will compose an attractive investor package for the seller – enticing potential investors to review such and to make a full price offer. Often, marketing documents are poorly prepared – missing key information such as ownership structure, key personnel or market position. Without a properly prepared marketing package, the seller will not leave a “good first impression” – immediately resulting in an investor to heavily discount the business acquisition. Another important step in the business sale process includes reaching out to multiple investors. “The old saying in our trade is, that one investor is no investor, “ says Neumann. If a business owner presents the valuation to only one buyer, such buyer will take advantage of the situation and wear the business owner out. Reaching multiple buyers needs to be done in a non-divulging way with confidentiality preserved. Said investors need to be pre-qualified – often in a somewhat adversarial process that should be left to the (third party) advisor rather than to the business owner as the principal who needs to work together with the buyer in transitioning the business after a deal closing. Finally, in the negotiation phase the advisor will act as a “relationship buffer” addressing both parties’ concerns to find common ground. The involvement of the advisor affords the parties not to be on the “front line” when being confronted by demands by the opposing party. One common saying is “Good advice does not have to be expensive but bad advice will cost a fortune.” This is nowhere more applicable than in the world of mergers & acquisitions and business brokerage where savings of a few commission percentage points can easily translate into huge declines in deal values.